Johnny Adcock is an aging Major League pitcher with the perfect retirement plan - he moonlights as a private investigator. Major League Baseball, as it turns out, is a prime source of employment for a philosophically inclined, discreet detective who has both the brains and the brawn to handle the unique problems of professional athletes. Those infamous baseball salaries attract gangsters, hustlers, and predators of every persuasion who prey on the outsized egos of primetime stars. When players, coaches, agents, or wives have a problem they can’t make public, they call Johnny Adcock. On the team bus after a game, teammate Frankie Herrera confides in Adcock that he has a “problem with his wife”. What sounds like the standard story of a pro athlete’s marriage gone sour quickly turns into the most dangerous case of Adcock’s second career when Frankie is killed in a car accident, leaving far too many questions unanswered. 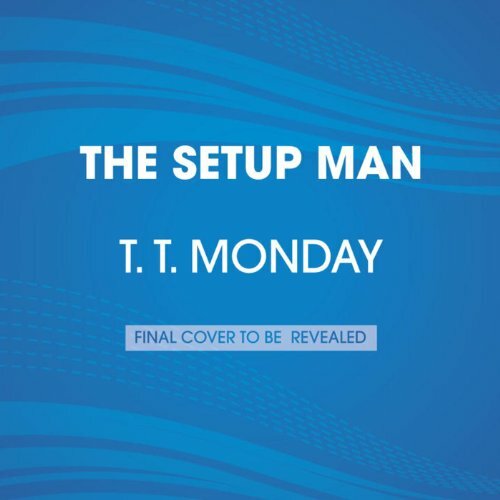 A new heavy hitter on the thriller scene, T. T. Monday takes listeners inside a rich and highly entertaining world where crime and baseball intersect and delivers a debut that moves like a 96-mile-an-hour fastball. My friend gave me this book to read, but got the audio book because I'm not much of a reader. Bruce Thomas has a great voice. Just didn't like the end of the book.